Midco Sales has four new belly dumps with electric tarps in stock at its heavy trailer dealership in Chandler, AZ, just outside of Phoenix. 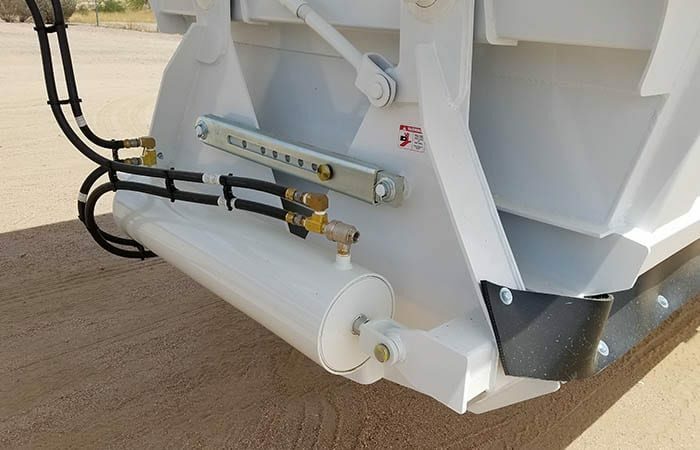 These 2019 CPS belly dumps measure 40′ long and 96″ wide, producing a 22.5 cubic yard capacity with the included 10″ bangboards. Each trailer weighs approximately 12,980 pounds. The suspension is a Hutch H-9700 four spring system. The Continental 11R22.5 tires are mounted on aluminum outer wheels (steel inner wheels). Cramaro Flip N Go electric tarp systems are installed on all of these bottom dump trailers. These tarp systems are easy to operate and are constructed with heavy duty aluminum. The gates are operated with twin 8″ air cylinders. They can be controlled from inside the truck cab or manually from the ground. Other features include pintle hitches and bolt-on push blocks. Midco Sales is an authorized CPS trailer dealer, promoting their line of belly dump and end dump trailers. Contact us at (480) 999-0607 or visit the dealership in Chandler, AZ, to learn more about any of the CPS trailers in stock.